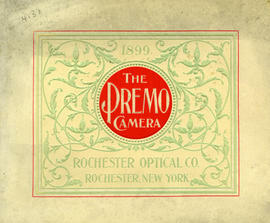 File contains catalogues detailing cameras from the Premo line, manufactured by the Rochester Optical Company until 1903, when Eastman Kodak purchsed the business. Graflex : prize-winning cameras & accessories / Folmer Graflex Corp. Item is a folding flier highlighting the 1937 Graflex camera and enlarger products. Item is a price list of Eastman Kodak Company products for wholesale retailers. Includes cameras and photographic accessories. Terms of sale / Canadian Kodak Co., Ltd. File consists of 3 Terms of Sale documents published 16 January 1911, 1 January 1912, and 15 January 1913 by the Candian Kodak Co. Limited, Toronto, Ontario. 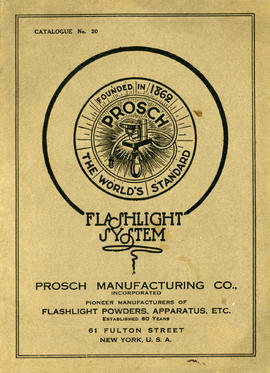 The documents include price lists for Kodak equipment and products. File consists of price lists of cameras and photographic accessories for the professional market. 1937 price list is missing. File consists of published price lists for Eastman Kodak photographic accessories, including papers, films, plates, and chemicals. File consists of 2 catalogues of Eastman Kodak light filters. File consists of price lists for Eastman Kodak's range of photographic chemicals, including fixers, developers, toners, dyes, adhesives, and others, as well as supplemental price lists for the serial Eastman Organic Chemicals. File includes 14 illustrated catalogues featuring Kodak cameras and camera accessories. Some years missing. Duplicate copies in the collection, see related record group: 2005.003.1.01.01. File contains 2 illustrated catalogues from years 1911 and 1932/33 featuring Kodak cameras and accessories. 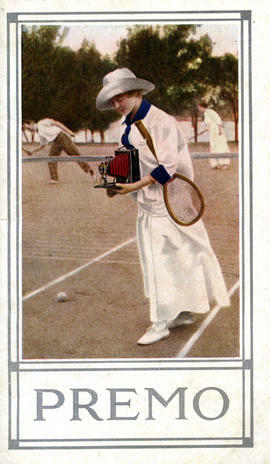 File contains illustrated catalogues featuring Kodak cameras and camera accessories. Some issues missing. Item is an illustrated catalogue of Kodak photographic equipment and supplies for the professional market. 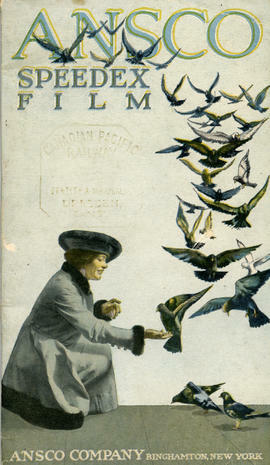 File contains 6 illustrated catalogues featuring Eastman Kodak photographic accessories and supplies. Graflex : prize-winning cameras / Folmer Graflex Corp. Item is an illustrated catalogue featuring the 1939 Graflex line of cameras and photographic products. Graflex : the American made camera for more interesting pictures / Folmer Graflex Corp. 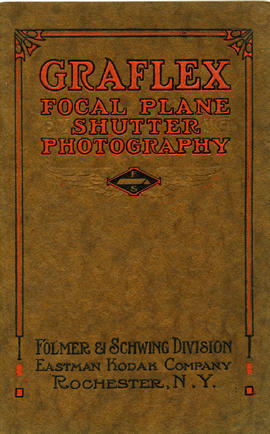 Item is an illustrated catalogue of Graflex cameras and supplies. The simplified Graflex : the universal camera for making better pictures / Folmer Graflex Corp. File includes 17 illustrated catalogues featuring Kodak photographic equipment and supplies for the professional market between the years of 1909 and 1941. Some years missing. Item is an illustrated catalogue of Eastman Kodak's motion picture cameras, projectors, and other accessories. Item in an illustrated catalogue of Eastman Kodak's motion picture cameras, projectors, and other accessories. Item is in illustrated catalogue of Eastman Kodak's motion picture cameras, projectors, and other accessories. Item is an illustrated catalogue of Eastman Kodak's motion picture cameras, projectors, and accessories. Item is an illustrated catalogue of Eastman Kodak's motion picture projectors, cameras, and other accessories. Item consists of 2 copies of Eastman Kodak's 1937 illustrated catalogue featuring motion picture cameras, projectors, and other accessories. Item is an illustrated catalogue of Kodak Cinegraph home movies, featuring "adventure, natural history, animated models and cartoons, World War, comedy, travel, sport, history, [and] general films." File consists of 2 price lists for Canadian Kodak products, including cameras and other photographic accessories. Item is a catalogue of cameras and lenses produced by the Alpa company, a Swiss manufacturer of hand-made cameras. File contains cataluges and prices lists detailing lenses available from the Jos. Schneider & Co. Optical works. Item is a booklet detailing avialble services and prices for a Toronto photofinishing lab.